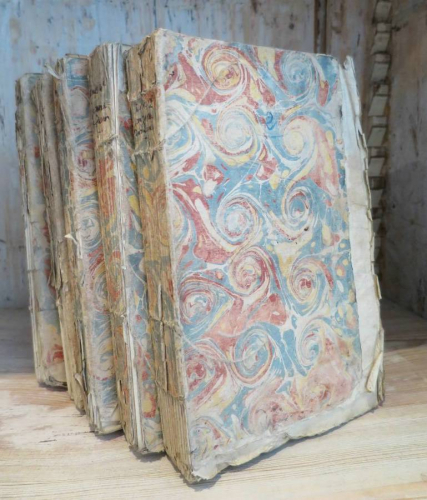 A very old and beautiful set of French books with marbleised paper covers and printed on rag paper - `Parnasse des Dames` in 5 volumes. Printed chez Ruault, Libraire, rue de la Harpe. Privilege du Roi 1773.